Aeroplan's has another Matching Miles offer for November! This is where Aeroplan will match your mileage donations to a select Beyond Miles partner. This month it is Give A Miles and Aeroplan will match up to 250,000 miles in donations. Give A Mile, a Calgary-based not-for-profit organization, brings together family and close friends in instances of severe medical affliction or terminal illness by crowdfunding airline flights through micro-donations of Aeroplan Miles. To find out more or to donate please see here. 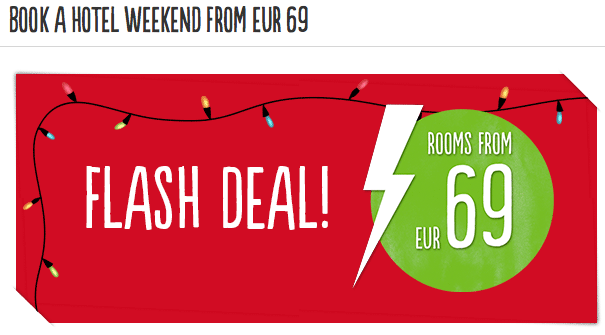 Scandic Hotels Flash Sale - Weekend stays in Sweden from EUR69. Simply book by November 17th for Friday to Sunday stays between December 1st and February 1st and you'll get great rates starting as low as EUR69!